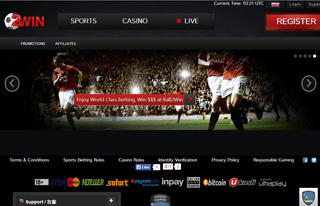 2winbet is a relatively new online bookmaker that offers sports betting and casino games. It’s a traditional bookmaker that was created in 2014. The brand is owned by Radon B.V. The company owns four other gambling website and is licensed in three countries. 2winbet operates under the jurisdiction of the financial authorities in Greece, Curacao, and Montenegro. The site is targeting primarily clients from Europe and aims to become one of the bigger names in the industry. For now, most of the players on the platform are from Greece, but their popularity has spread in other Balkan countries. They’ve recently introduced their poker platform which is part of the Betconstruct Poker Network and aims to bring more users who like this type of entertainment. With many poker tournaments and a lot of tempting rewards, 2winbet is quickly becoming a very attractive place for gamblers. It’s one of the most generous bookmakers that has an amazing bonus program for new players. With their impressive wagers and great betting experience, the people from 2winbet provide a stellar gambling platform. Let’s see what it offers. The first thing that you’ll probably notice is that the website is super quick. It is quite remarkable if you look to make a quick bet on an ongoing sporting event. When you go into the Sports section, you’ll find out that there are more than 50 sports offered. Even some rare ones like Triathlon and Pesapallo are available for betting. Of course, like every European-based bookmaker Soccer is the most popular sport, and it has the best coverage regarding wagers. The Casino section is pretty standard, and you can find a lot of entertaining games like slots, video poker, lottery games and table games. The real Casino action is in their Live Casino section where you can play Baccarat, Roulette, Black Jack, Russian Poker and Keno. To play Poker, you’ll have to download their dedicated software (much like many major bookmakers do) and it becomes a separate platform from the website. The site also offers the opportunity to gamble on famous entertainment events and politics. It’s awesome to see that they’ve even made odds for E-sports betting, which is becoming very popular these years. When talking about odds in 2winbet, the most popular ones are for Soccer events. You can find over 150 different odds for a single soccer game. For example, a Champion’s League match has 170 odds available. You have Double Chance, Total Goals, Draw no bet and Both Teams to Score. Now, everyone is about handicaps these days and 2winbet doesn’t disappoint. You have Asian Handicap and a 3-way Handicap. Specialties, like scoring a hat-trick or have a penalty in the game, are also available. The interesting bet is their Chance Mix wager. You have ordinary Chance Mix, Three Chance Mix, Double Chance Combo and Combo. Sure enough, Tennis also offers a wide variety of odds. Sometimes there are more than 20 bets available for a single event. You have set betting, match result, number of total games (under and over), 1 set score, player’s total games won and many more. Basketball is well covered with 60+ bets available for major events. The odds are pretty standard, but there are some particular ones you can find to your liking. Sadly, this is the part where 2winbet need to improve their platform a lot. For example, they are missing the most important SSL encryption when registering personal information. What it means is that your personal details are vulnerable to theft and can be stolen by hackers. Live chat is available, but it’s in Greek, and I doubt everyone can understand how it works. Their FAQ page switches to Greek depending on your browser, so it’s not of much help to people who don’t speak this language. The website is translated into more than ten languages, which is good, but there are places (like their Sports News section) where you only get to see it in English. There is a severe lack of contact methods with all of them being the Live Chat, one email, and one phone number. There are several social media buttons, but they’re also in Greek, and some are even missing. 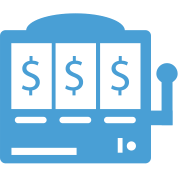 Depositing money into your 2winbet account is easy, and there are several transfer methods available. The general credit and debit cards are supported along with some digital wallets options. The only currency supported for transfer is the Euro. There is no mention of how fast are the transfers or if there is any fee for deposits and withdrawals. You will have to double check on that depending on which payment methods you use. There are some reports from users about withdrawal problems, but nothing too serious. Currently, the most tempting offer by 2winbet is their 50% up to 100 EUR welcome offer. To be able to withdraw the bonus amount you’ll have to meet the bonus requirements. They’re much simpler than many other bookmakers, and you’ll just have to rollover the amount three times on odds of 1.60 and higher. But here comes the catch. To request a withdrawal with any deposit, you’ll have to rollover the deposit amount at least on time on odds of 2.00 and higher. And things get worse when we get to the Casino. There you’ll have to rollover the deposit five times before you can withdraw any money.